Pulse 99.5 is now Pulse 101.7! Why the move? 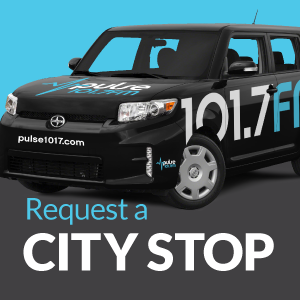 Four years ago, another radio network petitioned the FCC to allow three stations in the area to move to different frequencies to give them an opportunity to serve the Des Moines market. It took a while, but the FCC made its ruling last fall to approve the switch. Thanks to everyone who has prayed for God’s will on this! 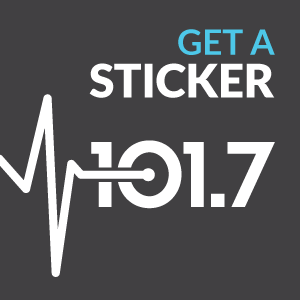 We effectively switched our frequency to 101.7FM in Winterset/Des Moines on April 14th, 2015. Are you still the same station? YES! 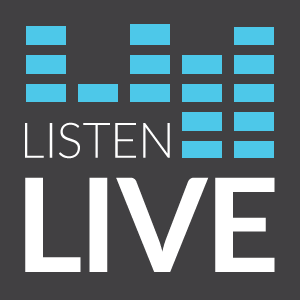 You’ll hear the same music, same on-air personalities, same everything. The only thing changing is our location on the dial! How does this affect the signal? Our engineers and many radio friends agree that new equipment specifically tuned to this signal will improve our overall sound. So while we will still be broadcasting at the same power as permitted by the FCC, we are confident that our sound in the central Iowa area will be stronger than before. I used to be able to hear 99.5FM, but now I’m getting a weaker signal at 101.7. We’re hearing from listeners who are getting a stronger signal in their home area, but also from listeners who are struggling to pick up the new frequency, particularly in Ankeny. Know that we are working hard to find a solution! While we can’t give you a solid timetable, we’re pursuing all options. PLEASE PRAY that God will bless our efforts and open doors to grow our reach! Thanks for bearing with us. Will I still be able to hear Pulse in Ames? The 95.5 frequency in Ames is operated by another organization, Fourthstream.com. They plan to continue rebroadcasting our signal. You will still be able to hear Pulse in Ames at 95.5FM, but they have some hoops to jump through to make the switch. To keep up on the process there and know the moment you can hear Pulse music in Ames, click here. It was actually the FCC filing of another station wanting to move closer to Des Moines that precipitated our move to 101.7. Because radio stations are federally regulated, we do not have a choice in frequency location. We just know that it will be good for Pulse’s coverage in the central Iowa area, and we’re trusting God with the rest! Perhaps the thing we’re most excited about is the opportunity to leverage the ‘buzz’ about the frequency switch to introduce more people to Pulse music. There are far too few positive media options for kids, young adults and young families in our community. Help us spread the word by sharing with your church or community group, on social media, and anywhere else you can think of!